Microsoft is set to detail its upcoming gaming plans during E3 2012 on Monday, and fans and critics are trying to figure out what the software maker has in store. The last two years have been dominated with Kinect news; will 2012 bring more of the same? Or will Microsoft talk about its next generation console, the Xbox 720? What about other potential device and games? You can follow all the announcement with PCWorld's liveblog during the event starting at 12:30 p.m. Eastern Time. Until then, here's a quick look at the potential highlights of Microsoft's annual address to the gaming public at E3 in Los Angeles. Microsoft on Friday bought nearly 20 domain names related to the term "Smart Glass" including domains such as MicrosoftSmartGlasss.com and XboxSmartGlass.org. 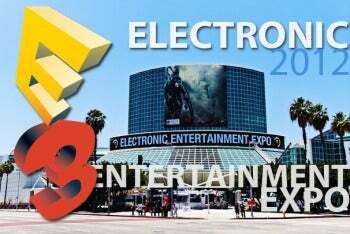 Making a move like this so close to E3 has, of course, set the speculation ball rolling. What is Smart Glass? Is it some kind of touchscreen device or Kinect enhancement? Probably not. If a Smart Glass product shows up, the most popular speculation believes it to be an AirPlay-like wireless streaming feature. The blog Fusible, which first noticed the domain name grab, points out that Microsoft's purchase happened on the same day the Examiner reported Microsoft would announce Xbox Smart Glass at E3. The Examiner's explanation of Xbox Smart Glass is a little fuzzy. First it reports that Xbox Smart Glass is a tablet that can control the Xbox 360 remotely and can live stream content to your TV, laptop, and other devices. But the blog also notes that Smart Glass will be cross platform and available for Windows, Windows Phone, Android, and iOS. So it's not clear if the Examiner's version of Smart Glass would be a device, a cross-platform app, or both. Microsoft also has a few more Smart Glass-related domains to snap up if it's serious about a Smart Glass product, such as XboxSmartGlass.com, which appears to be owned by a Chinese-language blogger, and SmartGlass.com, a domain owned and actively used by Research Frontiers. After discussing the next chapter in the popular Xbox series at E3 2011, Microsoft is expected to discuss the upcoming game once again. 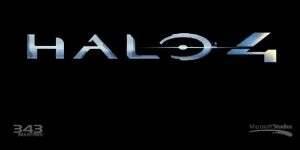 Set for release on Tuesday, November 6 (which also happens to be Election Day in the U.S.), Halo 4 is the beginning of a new Halo trilogy featuring John "Master Chief" 117. Microsoft and Epic Games will also detail Gears of War: Judgment at E3, the next installment in the popular video game series, according to Game Informer. The new game is expected to be a prequel to the original Gears of War. Don't expect to see anything about the so-called Xbox 720 console on Monday as Microsoft has already said it won't have any console news this year. But some video game fans and critics aren't so sure and expect at least a brief mention of the rumored successor to the Xbox 360.